I am an Attleboro based Drunk Driving Defense Lawyer with 37 years of hand on courtroom experience. Massachusetts has not yet outlawed drinking and driving. It is illegal, and irresponsible, to operate a motor vehicle on a public road when your ability to drive safely has been impaired by too much alcohol. The real question is whether you were actually impaired at the time you were stopped. Police officers have an obligation to arrest anyone they think may, even remotely, be driving their car while impaired. It is up to a jury to make a final decision based upon evidence adduced in court to determine whether an offense has occurred. Even if you elect to not go to trial we can help minimize the possible consequences of a conviction. In Massachusetts a person is presumed guilty of “drunk driving” if they have a blood alcohol level of .08. On conviction, even for a first offense, a person can be fined, sentenced to up to 2 ½ years in jail and can lose their drivers license for up to one year. First offenders may be able to recover limited (12 hour per day) driving privileges within a few weeks but subsequent offenders will not be able to obtain driving privileges so quickly. Refusing the Breathalyzer test will lead to long license suspension periods. “Alcohol education” programs may be available. Second offenses, and beyond, involve mandatory jail sentences and, after the passage of “Melanie’s Law” in October of 2005, the installation of ignition interlock devices upon the persons car upon the reinstatement of their license. Convictions can also lead to mandatory insurance surcharges for years to come. Having a lawyer knowledgeable in this area is essential. Your income and liberty are at stake. Whether you should enter into a “plea bargain” or go to trial before a jury is a complicated decision that can only be made, in an intelligent fashion, after all of the facts leading up to arrest have be discovered and analyzed. This is the subject of continuing debate among the defense bar which has become more complicated since Massachusetts adopted laws requiring a “guilty” finding upon a breathalyzer reading of .08 of higher and “Melanie’s Law” in October of 2005. Many used to advise to never take the breathalyzer. Others said doing so was fine if you have had one or two drinks. Bear in mind the following generalizations: one 12-ounce beer equals 1.25 ounces of hard liquor equals one four-ounce serving of wine. One’s blood alcohol level generally increases .02 percent for each serving. Over an hour, your body clears the alcohol, through metabolism and excretion, at a typical rate of .015 percent for males; (the rate for women is 1.25 times greater). However, many factors – e.g., what you had to eat, your basic body makeup, height, weight, state of health – affect the rate of alcoholic elimination. Many experts believe that breathalyzers are inherently incapable of properly discerning one’s true alcohol blood level. Melanie’s Law went into effect October 2005. It provides first offenders will lose their license for 180 days if they refuse the breath test. Second offenders lose it for three years. Third offenders for five years. 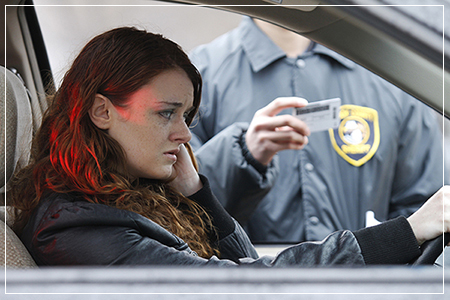 Fourth offender lose it for life even if they are not ultimately convicted of drunk driving! Additionally, individuals who are stopped should politely refuse to submit to the field coordination (sobriety) tests offered by the officer. At that point in the stop the officer has, probably already decided to arrest you but is simply looking for additional evidence to use against you at Court. In October of 2012 the Massachusetts Office of Alcohol Testing authorized the use of a Dreager Alcotest 9510 breathalyzer for use by Massachusetts police departments. Breathalyzers are complicated machines. They attempt to calculate the level of alcohol in a person’s deep lung air by blowing into a breathalyzer machine. The machine provides a reading. It is accepted as a true measurement. Recently, the computer programs used by the breathalyzer machines to make these calculations have come under fire. There is now before the Massachusetts Supreme Judicial Court the cases of Commonwealth vs. Figueroa and Commonwealth vs. Ananias. These individuals, as well as hundreds of others, have asked the prosecutors in their cases to prove the reliability of the machine before it’s reading is accepted. The Court has ordered prosecutors to provide copies of computer source code, as well as actual breathalyzer machines. This information allows for independent testing. A full hearing on the reliability of the machine has occurred but as of today no decision has been reached. Eventually, the court will rule whether Alcotest 9510 test readings are admissible in drunk driving cases. If your case involves the use of an Alcotest 9510 machine, and you feel the results seemed unusually high, it is best to have your case put on hold [“stayed” ] until a final determination is made. So What Should You Do If Stopped? It is my opinion that all first offenders who believe their blood alcohol level is low should now take the test. Everyone should politely decline to submit to field coordination testing. Individuals with prior convictions are, however, faced with a dilemma. Taking the test could help the prosecution put them in jail for years. As the number of prior convictions rise, and the number of years of imprisonment faced rises as well, the decision becomes more acute. There is no easy answer that will be right for all people in all circumstances. This post is not meant to be a substitute for specific legal advice given by a competent attorney who is familiar with OUI law and the facts of your specific case. If you are currently facing prosecution for an OUI offense you should discussed this matter with your attorney before proceeding any further. First Offense – A fine of not less than $500.00 or more than $5,000.00 and/or imprisonment for not more than 2-1/2 years. No mandatory jail time. Second Offense – A fine of not less than $600.00* or more than $10,000.00 and mandatory imprisonment for not less than 30 days or more than 2-1/2 years. Third Offense – A fine of not less than $1,000.00 or more than $15,000.00 and mandatory imprisonment for 150 days minimum and 5 years maximum. Fourth Offense – A fine of not less than $1,500.00* or more than $25,000.00 and imprisonment for one year minimum and 5 years maximum. Fifth Offense and Higher – A fine of not less than $2,000.00* or more than $50,000.00 and imprisonment for 2 years minimum and 5 years maximum. *Additional fees and costs (I.e, Head Injury Fund $250.000 and Victims of Drunk Driving Assessment $50.00) will be assessed by the court upon sentencing. This number does not reflect the cost of future motor vehicle insurance surcharges, probation supervision fees or the costs of alcohol education programs.